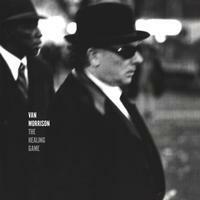 Cranky, sly, dour, ecstatic, Van Morrison treads his own stubborn pilgrimage through blues, jazz, R&B, Celtic rays, and their ineffable junction in his own music. This 1997 album distills the renewed focus on blues and jazz sources that shaped much of his '90s work. The Healing Game marked an important transition for Morrison. After a period of crafting romantic ballads that found mainstream success, Van felt once more compelled to revisit the jazz and rhythm and blues-inspired style that influenced his earliest work. To accomplish this, Van put together a new band that featured such heavy hitters as saxophonist Pee Wee Ellis, Georgie Fame and bassist Alec Dankworth.